From the creators of the #1–bestselling Life Recovery series, Take Your Life Back is a groundbreaking look at how to overcome unhealthy relationships and love others well. 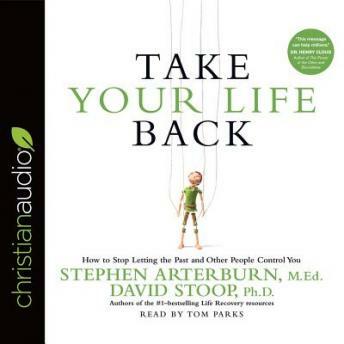 Counselors Stephen Arterburn and David Stoop offer personal examples, clinical insight, and scriptural truth to help you navigate your toughest relationships. Do you have a relationship that leaves you feeling drained? Maintaining and improving this kind of relationship?whether it’s a spouse, a friend, or a child?can feel exhausting, fruitless, and toxic to your own health. It’s complicated: You love the person, but sometimes you feel as if you’re pouring all your energy into holding your loved one, and your relationship, together. And if he or she failed or stumbled?would that make you a failure, too? What would happen if you walked away? Arterburn and Stoop have helped millions walk the path of health through their New Life Ministries and counseling center?and now, in Take Your Life Back, they reach out to those who walk the path alongside them. We are called to love one another deeply, but it is possible to support your loved one in a way that honors the relationship, God, and yourself. Take Your Life Back is the key to fostering healthy, God-honoring attachments that benefit you and the one you love.